Comment: Overall Acceptable Condition! FYI, All of our books are wiped and cleaned by professional team to achieve 100% customer satisfaction. Our team dedicate on best pricing and accurate description of the book! Buy our books with confidence. 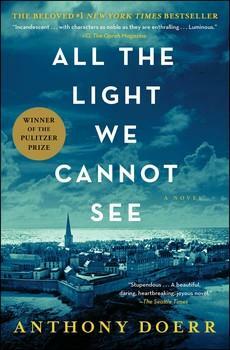 Start reading All the Light We Cannot See: A Novel on your Kindle in under a minute. 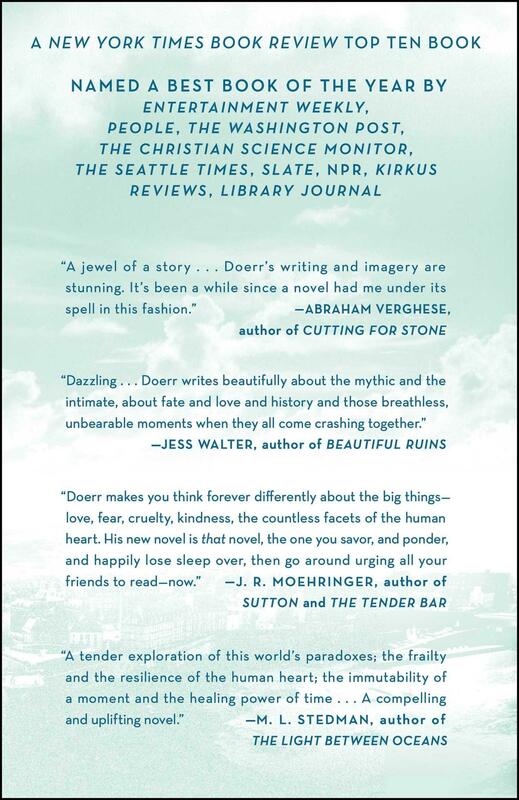 Doerr’s 'stunning sense of physical detail and gorgeous metaphors' (San Francisco Chronicle) are dazzling. 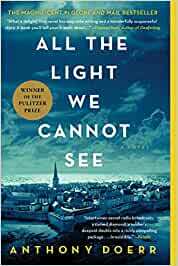 Ten years in the writing, a National Book Award finalist, All the Light We Cannot See is a magnificent, deeply moving novel from a writer 'whose sentences never fail to thrill' (Los Angeles Times). Marie-Laure is a young blind girl living in Paris with her locksmith father. When the Nazis invade, they must escape to the small town of Saint-Malo, carrying with them (unknown to Marie-Laure) the most valuable jewel in the country. Unfortunately, a Nazi officer is also on the trail of this jewel. Werner is a German orphan from an impoverished mining town chosen to attend a facility for Hitler youth. He is wholly motivated by his love for science, but once he is employed by the Nazis to ferret out members of the resistance, he is confronted with the human cost of the science he has produced. Wow. Just wow. This is the most beautiful piece of literature I have read in a very long time. The first thing to strike me was the language - it's visual, it's tactile, it's aural. It's a feast for all of the senses. I slipped into Marie-Laure's world, and Werner's, and never wanted to leave. The two storylines twine around each other, skillfully drawing nearer and nearer. When Marie-Laure and Werner finally do meet it is refreshingly different from the usual trite love story. The imperfections make it beautiful and haunting. This story will stay with me for a very long time. - Marie-Laurie, blind, who lives with her reclusive great-uncle in St. Malo, Brittany, to where she and her father have been forced to flee when the Nazis invade Paris. - Werner Pfennig, an orphan, who from an early age has been fascinated by radios which he soon learns to build and repair. As a teenager he has been drafted into the German army, his duties,; to triangulate the location of Resistance transmitters. - Von Rumpel, Nazi Sargent-Major, who is searching for an elusive diamond, "The Sea of Flames", once located in the museum in Paris. Superstition has it that the keeper will live forever while misfortunes fall on all those he loves. 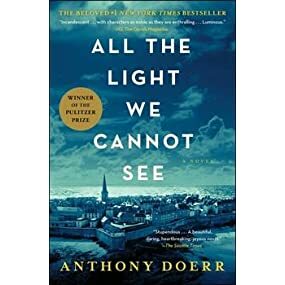 Doerr`s masterful prose style brilliantly evokes the horrors of war, what life is like under Occupation forces, while on the other side, the brutal training of young people to become defenders of the Fatherland. An emotional story that will stay with the reader long after it is read. Doerr has written a masterpiece of a wartime novel. The rave reviews are well deserved. Realism rather than romanticism wins out in the end—which will disappoint many readers—but gives intellectual and historical weight to the author’s artistic earnestness. The short chapters (some of them miniscule) make the book easy to read but dividing it into sections back in time and then forward in time can be disorienting. Sometimes I found it necessary to look back to the beginning of the section and even the previous section to place events in their proper timeline. But that literary device also increased my curiosity about “why and how” events unfolded as they did, increasing the suspense. Readers can easily find themselves being mentally and emotionally caught up with what the two main characters, the German boy Werner and the French girl Marie-Laure, have to endure. It is a cruel world but they are determined to survive even when conditions get worse and worse. Yes, I got caught up in their agony. Having read many WW2 novels, biographies and historical works, I found it alleviating that the horrible plight of the Jews was kept out of this storyline. “All The Light We Cannot See” gets a lot of attention for its unique story and its beautiful writing. It starts late in World War II, as the Allies begin to bomb the French city of Saint-Malo to drive out the remaining Nazi troops. Our two main characters are Marie Laure, a blind French girl who fled here with her father from Paris, and Werner, a radio expert in the German army who is stuck in the city when the attack begins. From the first pages, we know that the city of Saint-Malo is going to be bombed in August of 1944, where Marie-Laure and Werner are both there and in serious danger. Then the story switches a few years before the bombing and we really get to connect with the characters. We get to see what life was like at an intense German prep school with all of the bullying and Nazi propaganda. I personally connected with the German boy, Werner, but both of these characters have appealing natures and it's impossible not to connect with them. Finally, there's the suspense of the Nazi treasure hunter trying to track down the diamond, which led to some very intense conflicts. 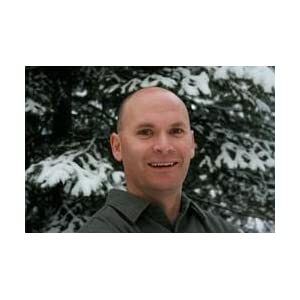 Doerr used the popular technique of alternating perspectives and chapters to keep the story moving along. The chapters were short, which also helped quicken the pace. So in one scene we'll be following a German soldier in 1944, in the next we'll be with a blind girl who is helping the French Resistance, and a few pages later we could be with a Nazi sergeant who is on a treasure hunt for a rare and valuable diamond. Doerr also created some impressive flashbacks to the 1930s that built up to the main event of the book. imagine the atmosphere through touch and sound. The only problem with this book is that the ending keeps going for quite a while. I think that the end goes too long. It is still well written, but there could have been so many better places to end the book. All in All, this book was amazing in its writing, but I am giving it a 4.5/5, just because the book took so long to end.